April 1, 2017 By Blogger Bests This post may contain affiliate links. Read our disclosure policy. 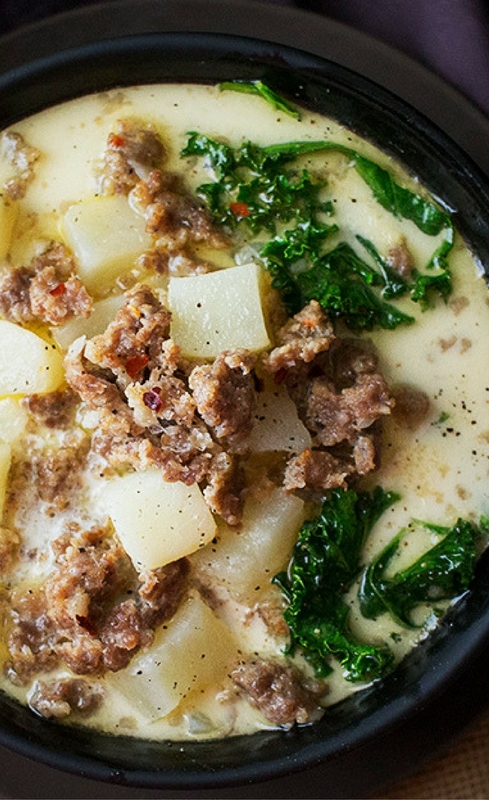 The classic zuppa toscana soup, in slow cooker form! It tastes WAY better than Olive Garden’s, and is sure to be a crowd pleaser! This recipe is from The Chunky Chef. Be sure to scroll down for the direct recipe link. Be sure to click over to The Chunky Chef to read more about this Slow Cooker Zuppa Toscana soup!